When Traveler's Tales and LucasArts released the first LEGO Star Wars game, it was a beautiful marriage. Like chocolate and peanut butter, or Charlie Sheen and tiger blood, they were two great tastes that tasted great together. 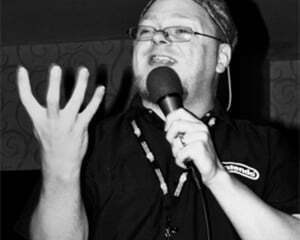 Since then, TT Games have built a franchise on taking pop-culture icons and condensing them into episodic gameplay nuggets involving those Danish building blocks and the endearing humor the series have become known for. While the LEGO series of games has branched out as far as what they've covered (from movie series' to Rock Band), none were quite as captivating as the original game. In fact, after a while, some felt the recipe had gotten a little stale. Now, like George Lucas, they're returning to the well once again to get a little more juice out of the Star Wars cash cow. Is it as good as the original games, or is it joining the later titles as too much of a good thing? For the uninitiated, the LEGO series of games do just what you'd imagine from the title: take a popular franchise and put it in LEGO form. The characters are LEGO figures, and everything -- from vehicles, buildings, plantlife, and more -- is built out of LEGO blocks. The original title, LEGO Star Wars took the first three episodes of the film series (and by first, I mean Episodes 1-3, not the original trilogy) and "rebuilt" them, making them co-op platforming affairs. Players could relive their favorite movie moments, but in smaller, cuter (and in many cases, funnier) form. 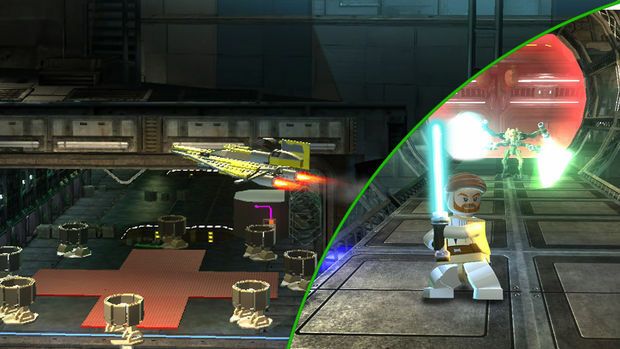 From using the force to build items out of LEGOs, to drop-in/drop-out co-op gameplay, it was a winning combination. 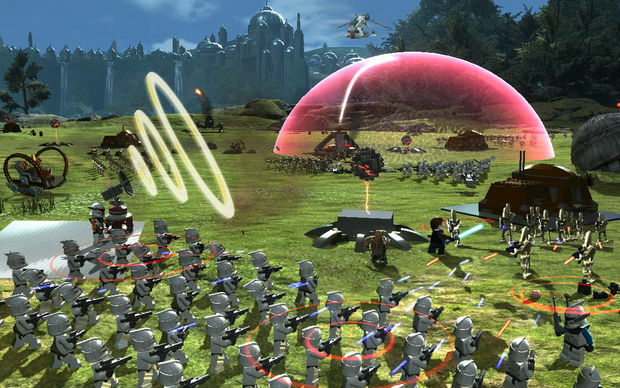 After visiting the original trilogy with -- wait for it -- LEGO Star Wars II: The Original Trilogy, Traveler's Tales had found their groove, and the popularity rose from there. Now that there are no more movies in the Star Wars franchise to recreate, the team has turned its sights to the popular Cartoon Network series The Clone Wars. Taking place between the films of Episode Two and Three, the series follows Obi-Wan, Anakin Skywalker, his unheard-of Padawan Ahsoka, and the rest of the Jedi Knights and Clone Army against the likes of Count Dooku, General Grievous and Asajj Ventress as they try to take over the galaxy. The game then follows the first season (and parts of the second) of the television series in its mission structure. Here, however, instead of playing through six chapters making up one movie "episode," each chapter is an episode of the TV show. Because the series jumps around in focus for each different antagonist, the game has structured itself to be divided between the three main villains, and each of the six episodes per villain follow that villain's story arch. So while you may play an episode from season one in the game, the next episode in that villains arch in the story may not take place in the series until season two. This may make some fans of the television series upset, but as I've never watched an episode, I personally found this structure to be more concise. However, since we're now taking a half-hour episodic TV series and condensing it to a level in a game, the chapters do appear to be much shorter than in previous titles. It doesn't always happen, but I found myself breezing through a fight, only to have the mission end. However, there is a good bit of replay found once again, as there are numerous things to collect in each level. As before, minikits are hidden in each level, and collecting all ten per chapter builds a new character from the Star Wars universe. Gold bricks and red bricks are also hidden throughout, and playing through the levels in Free Play (once beaten in Story Mode) will allow you better chances at finding them all with different characters than the Story Mode provides. Speaking of characters, there's a ton of stuff that each does and, as always with these games, there's a ton of them to choose from. 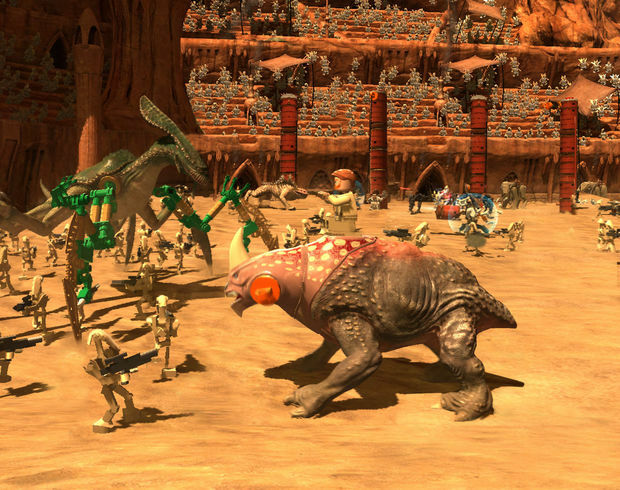 Since you have the Clone Army, there are several different Clone Troopers, some that can command other troops in battle, allowing them to target specific enemies or attack in groups. The scale of some of these levels is intense, as ground troops, enemy Droid Armies, tanks and other weapons and vehicles are all in play. Some levels set themselves up as a sort of beginner's version of a real-time strategy game. As you capture enemy bases, you can then build your own outpost and using the LEGO studs you find buy barracks to unload troopers, canons to bring down enemy reinforcements and more. The Jedi also have a few new moves, as they can now throw their Light Sabers at targets, as well as using them to cut through walls and scale large objects. They can also (finally) use the force to throw enemies around the environment, smashing droid troops into each other or force-pushing them away if large groups surround you. While these add to the variety of mission types, sometimes objectives aren't very clear. In one mission, I was told I could bring down a target using "photon torpedoes." As I walked through the area, I found where the torpedoes were, and the game told me "use these torpedoes to bring down the enemy base." Well, that sounds simple enough... but how? I jumped on them, I walked up to them, I shot at them... I couldn't figure out how to grab the torpedoes to use them! I grabbed a speeder and zoomed around for a little bit, and as I passed the torpedo bay, I suddenly was dragging one behind me. Well, they never said I needed a vehicle to use them! It was frustrating, but once I learned it, the mission became easy. Sadly, there are many points in the game where the objective needs to be spelled out in a little more detail. While the visuals still retain that "kiddie-game" feel, the animation is much improved, and the lighting and shading are surprisingly deep for such a younger-geared title. It's a much more vibrant-looking LEGO title, and the animations are on par with the same type of CGI that the TV series itself is animated with. The sound is your typical grab bag of score from the films and TV show, sound FX from both, and the usual grunts and campy bits as far as "voice acting." One of the strange things I found with this title is that (despite being essentially a "kids game" based on a kids' show) this title actually has the least amount of humor in it compared to the other titles in the LEGO series. As always, the title is focused very heavily on co-op. There's a few new modes to accent this, including SceneSwap, where in certain missions teams of characters may be split up and can perform tasks separately from each other. Here, in either single player or co-op, the split screen is handled very well, and doesn't detract from the gameplay elements. There's also an Arcade Mode, but sadly I didn't get an opportunity to delve into that one since, once again, there is no online multiplayer. Sadly, with all the improvements the title has, it does seem to run into the same pitfalls that befell the previous incarnations. The camera is still unwieldy, the hit-detection can be a bit sloppy, and the drop-in/drop-out co-op, while fun, still isn't online. (Why did they only do that in LEGO Star Wars: The Complete Saga?) The difficulty of the missions also can fluctuate wildly, with one mission being overly easy, with the very next mission has you pulling you hair out trying to figure out your next move. Still, that LEGO charm and humor is still throughout the gameplay, and if you haven't tired of it yet, it still makes for a fun title. They haven't strayed much from their formula, and as they say "if it ain't broke, don't fix it"...unless, you know, it's made of LEGOs.